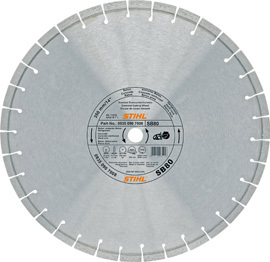 Extremely fast universal cutting wheel for cutting brick, concrete, clinker, granite and ductile cast iron pipes. Extremely robust, temperature-resistant composition. 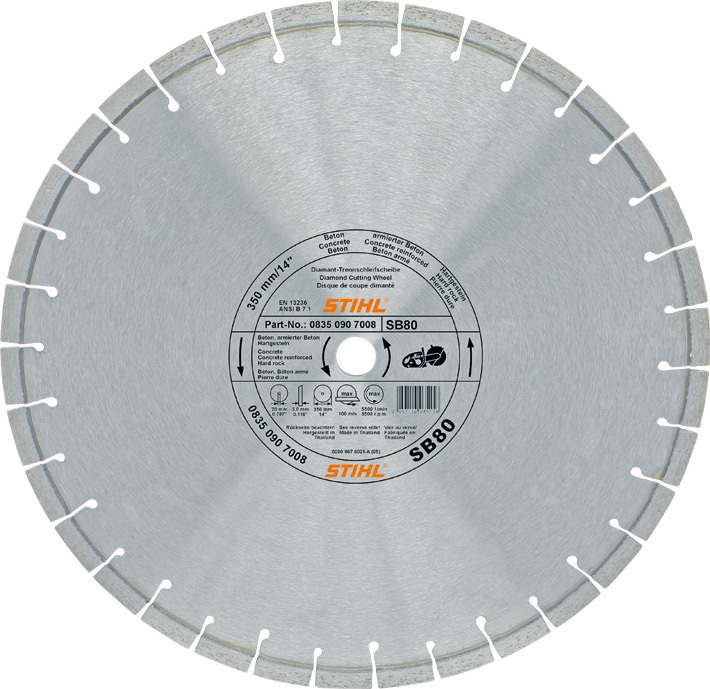 Suitable for cutting construction steel up to 10 mm thick and clearance work in emergency and disaster situations. Hard stone / Concrete (SB80), Ø 350 mm / 14"
Hard stone / Concrete (SB80), Ø 300 mm / 12"